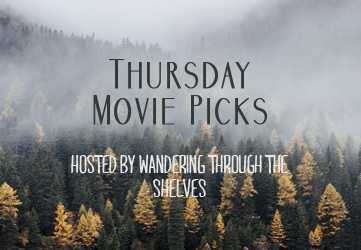 Thursday Movie Picks is hosted by Wandering Through the Shelves. Head over to her site and join in! This week is about childhood favorites. The choices I made for the week are movies that I used to watch all the time when I was younger. Here are my picks for the week. D2: The Mighty Ducks - I could put any of the Mighty Ducks movies in here, but the second one is my favorite so I'm going with that. This is about a ragtag hockey team coached by a lawyer-turned-minor pro hockey player. The sequel has the team, with some new player, represent USA at an international hockey tournament. I really liked this movie back then, with the camaraderie and team spirit that the movies had. Aladdin - This was one of my favorite Disney movies, and is still a favorite today. Jasmine is one of my favorite princesses, and I loved Genie, Carpet, and Iago. The synopsis of the movie on Letterboxd is weird though. It makes it seem like Jasmine is the main character but the movie really focused on Aladdin and the Genie. Passport to Paris - I was an avid Mary Kate and Ashley Olsen fan back then, and this was my favorite movie of theirs. I think this was one of the two movies of theirs that had repeat viewings back then. This was about two girls who were sent to France for the summer. They end up galavanting through the streets of Paris with French boys, got to be friends with a supermodel, and spend time with their grandfather. I haven't seen this movie in ages; I wonder if I'll still end up liking it as much as I did. OMG, I was addicted to all three of these too. I wanted to be an Olsen Twin. D2, IMO is way better than the other Mighty Duck movies. That one has always been my favorite. I can relate to Aladdin but the Ashley phase passed over me. I love the Mighty Ducks. I didn't have the video though, so only saw it when it aired on TV.